Have you ever thought about become a real estate agent yourself? Would you like to build a career from the bottom up? Maybe you’d like to jump in and work on an already established team. Do you have extra time and want to do real estate on the side? Don’t miss out on what could be the most rewarding career of your life! Build a career worth having, a business worth owning, have a life worth living, experiences worth giving, and fulfill a legacy worth leaving. Click HERE to start your journey towards a change in your life! If you still need more information continue learning below, or contact me and let’s have a conversation. Ask me all the questions that you have today. With Keller Williams, you have a whole team working for you. Even as an independent contractor, Keller Williams is there to support you, and has hired staff members at offices and market centers aimed at helping you grow your business. When you join Keller Williams, you are joining a team, not just hanging your real estate license somewhere. Are you already an agent and not happy with your current company? Are you tired of feeling lost on how to handle transactions and need some coaching? Do you need more leads? I’d be happy to meet with you or talk by phone to discuss how Keller Williams has impacted my business and my life. Keller Williams Realty is always looking for outstanding individuals who are training based, seek limitless potential, and who looking to take their career to the next level! With over 790 offices world wide, you most likely have a tremendous Keller Williams Market Center and office near you. Frequently recognized as the most innovative and agent-friendly brokerage in the nation, Keller Williams Realty is a gathering place for the industry’s best real estate agents. The Keller Williams cut lure each agent experiences is unmatched. With industry-leading real estate training, generous commission splits, and an experienced leadership and support staff Keller Williams is a hot spot for agents looking to grow their real estate careers rapidly and organically. Brand yourself as you see fit! There are already many tools like our KWConnect System full of training videos and materials, with more being added everyday. Learn more about KWConnect below. Gary Keller, founder of Keller Williams, has written tons of insightful real estate books. 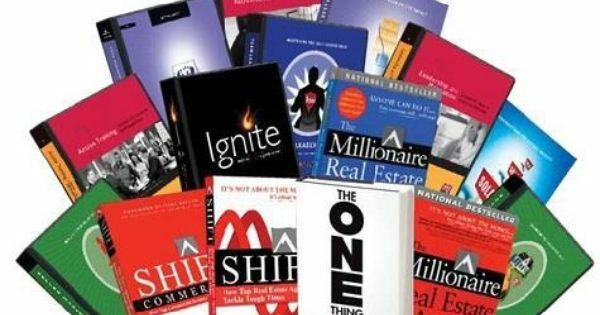 From the Millionaire Real Estate Agent to The ONE Thing, these books serve everyone, not just those in the real estate business. 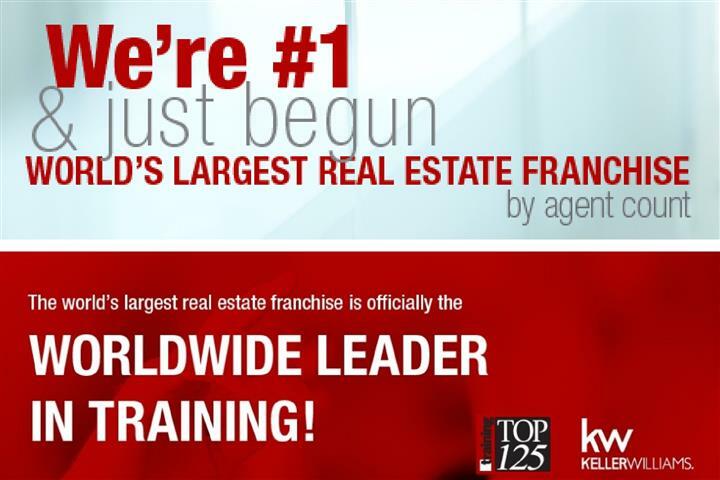 No other company has written as many industry-changing books and training materials as Keller Williams. 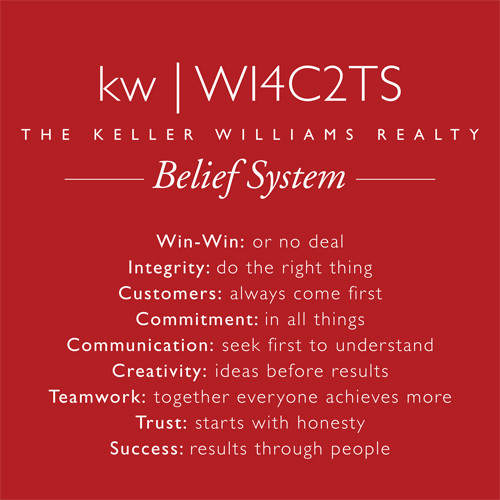 Our belief system here at Keller Williams communicates upstanding beliefs and they are located on the wall in every Keller Williams office. 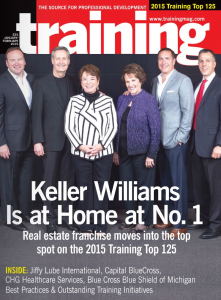 Keller Williams ranked 5th by “Training Top 125” and was the ONLY Real Estate Company on the List! Click to learn more about how they select the best, HERE. A BOLD statement for a BOLD company that BOLDLY impacts your business. Discover Keller Williams! Get in touch with me and let’s talk about them, or click above to take the first step. You don’t even need a real estate license to begin speaking with a team leader to learn more. What if they could show you how to get started for less money than what you thought it would take? Don’t wait, contact me today.